Tweet, tweet - these Lovebirds need to fly the nest. Brighten up the cooler months with this pop of colour. 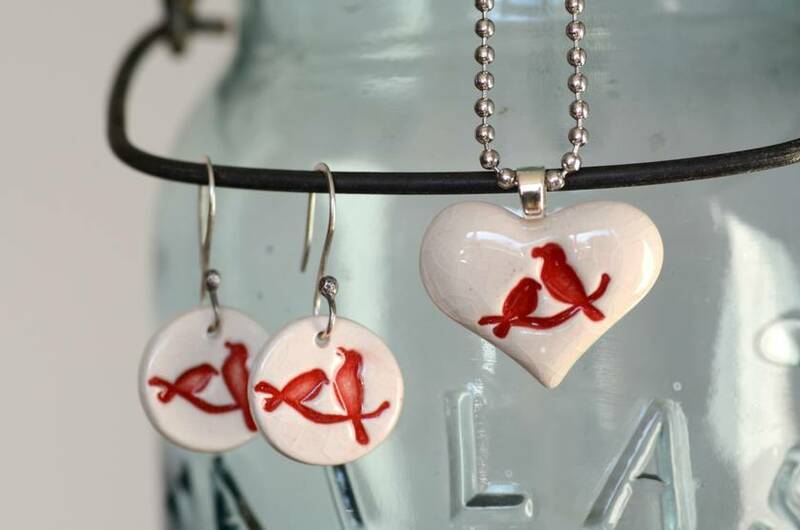 Made from porcelain clay, hand stamped with this sweet bird duo, they have been glazed on the front with a glossy clear crackle glaze with red glaze painted into the pattern. 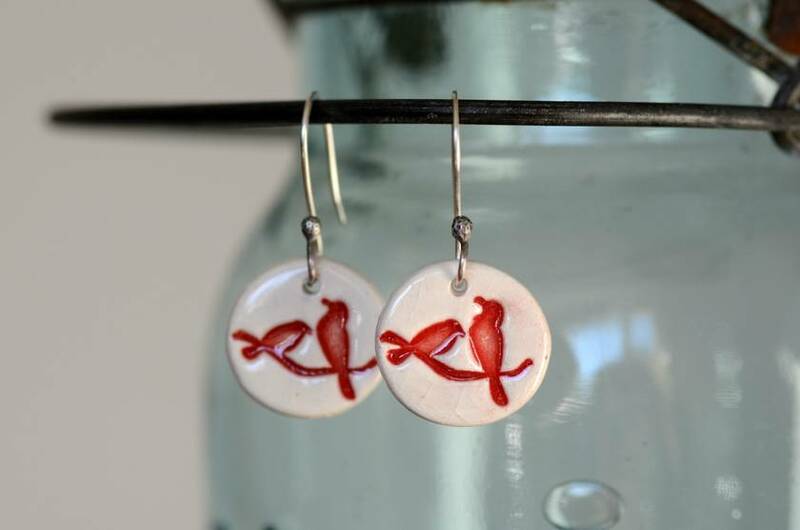 They hang from handmade Sterling silver hooks. 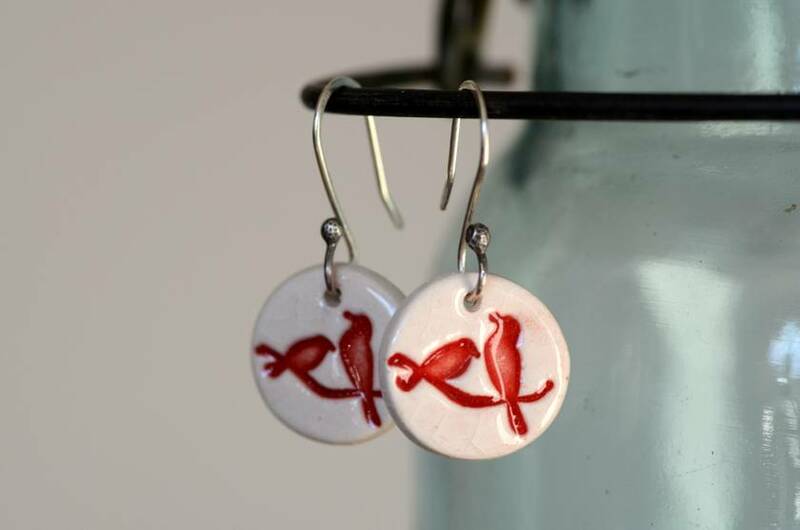 The Ceramic earring measures approx. 17mm across. This makes the perfect gift, and will arrive beautifully wrapped. Mudbird products are handmade with quality in mind and in small batches, so you can be assured your piece has been lovingly created.